Prepare yourselves for a long, photo-heavy blog post. 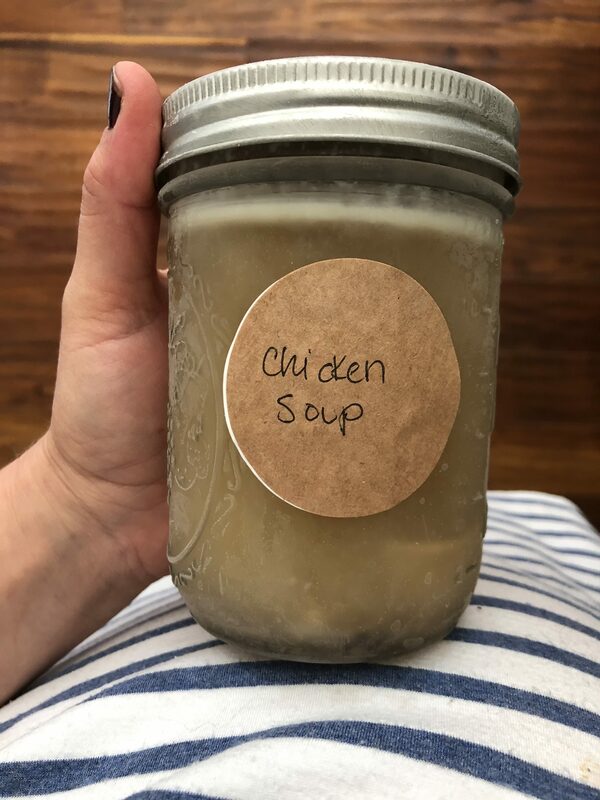 😉 So many of you have been asking what I made in advance for after the baby is born. 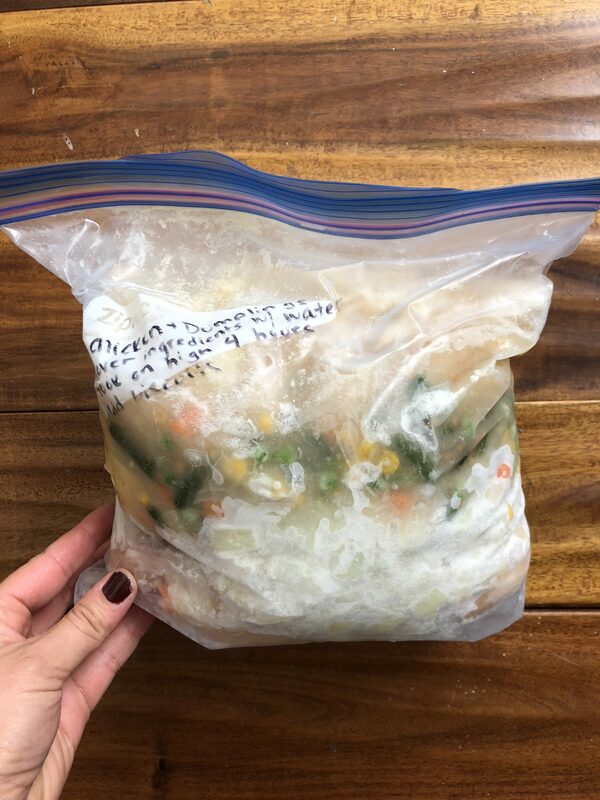 It’s true — I love a good freezer meal and prepping my freezer is my FAVORITE part of nesting for sure! If I am being honest, I must prefer making freezer meals than setting up a nursery and folding all those little clothes. When I was pregnant with Grayson, we got a deep freezer because our normal freezer just wasn’t going to cut it. Turns out, that was literally the best purchase ever and I’ve had that puppy stocked ever since. Since this isn’t my first rodeo, I know afternoons are probably going to be our hardest time of day. Adam usually gets home from work around 6:30-6:45pm so I am on my own until then with the kids (I’m not complaining at all here – it’s just the way it is and the way it’s always been for us). 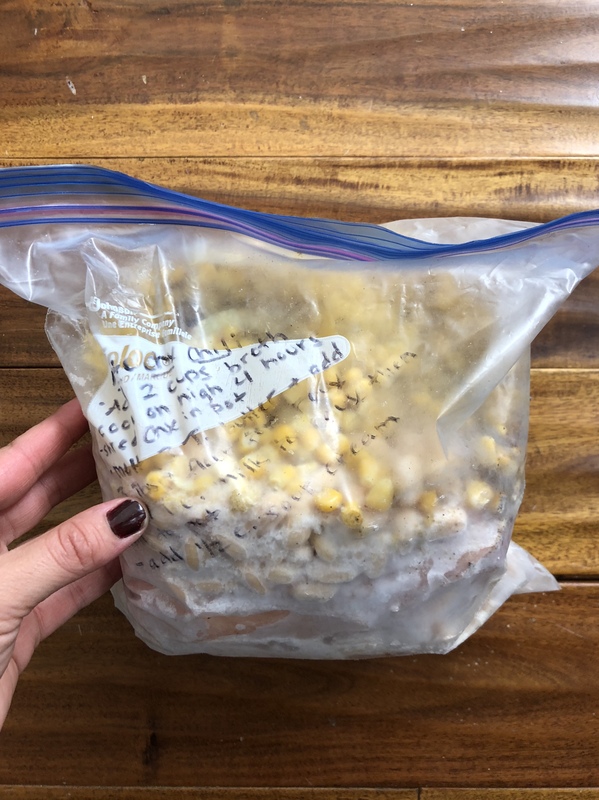 And as much as I love to cook, popping a homemade frozen meal into either the oven, crock pot or Instant Pot is going to save me many evenings as we get used to our new routine as a family of five. Chicken tortilla soup from Now and Again Cookbook. 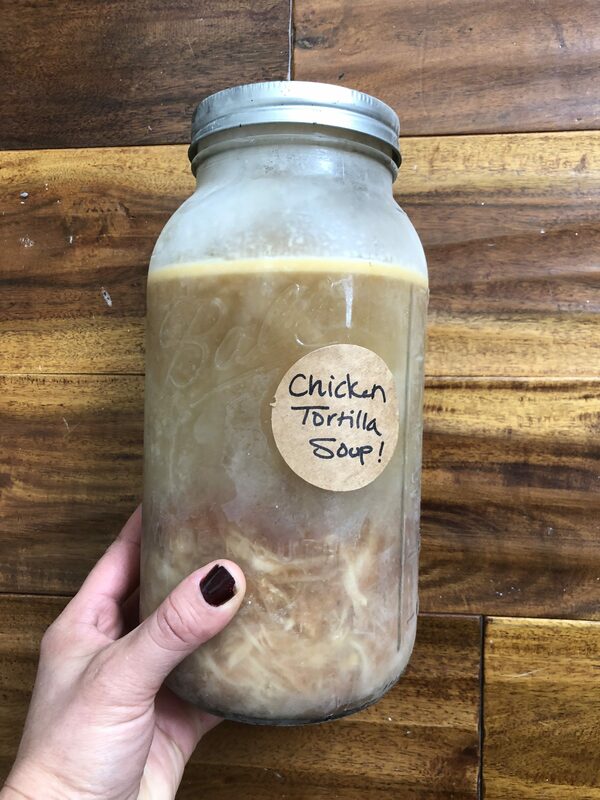 I also have a great freezable recipe for chicken tortilla soup on my site here – I just wanted to try something new. Chicken and dumplings! This is a tried and true favorite. Recipe can be found here but I have tweaked this over the years. I use organic condensed soup (Pacific brand), organic chicken and add potatoes. Just make sure the potatoes are covered with the soup when you go to freeze or else they will turn a funky color. I also add a cornstarch slurry at the end of cooking to thicken everything up a bit…the refrigerated biscuits from Trader Joe’s are great here! This white chicken chili was one of my favorite “dump meals” last time. It’s really good and nice and thick. Don’t try to freeze my white chicken chili because freezing sour cream in a recipe usually isn’t the best idea and will cause the soup to break. 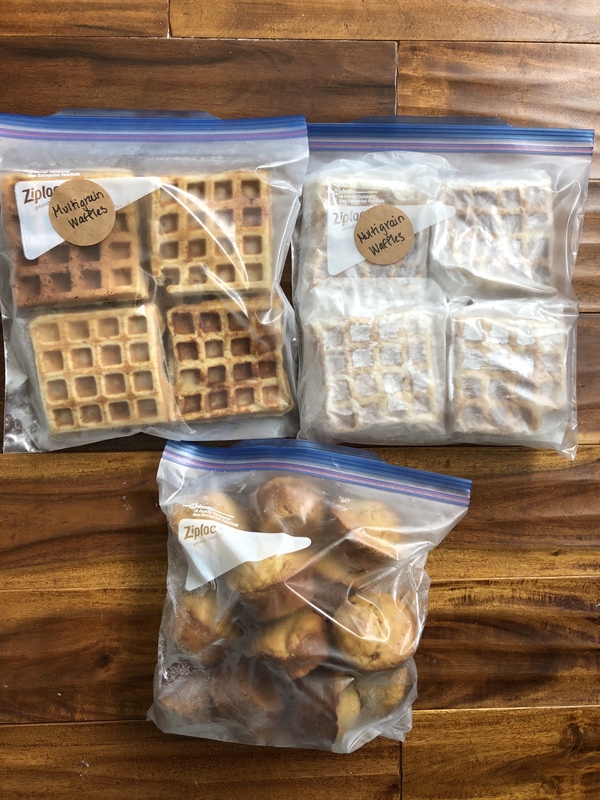 I really loved Pinch of Yum’s freezer post and got inspired by it! 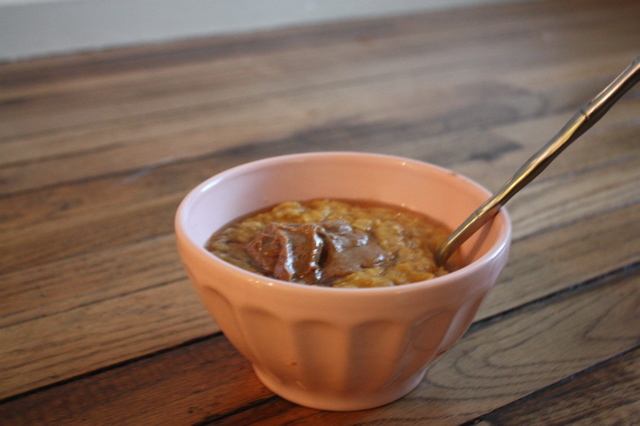 I made her Instant Pot wild rice soup, sweet potato peanut stew and beef stew. You can literally just toss these right out of the bag and into the Instant Pot! 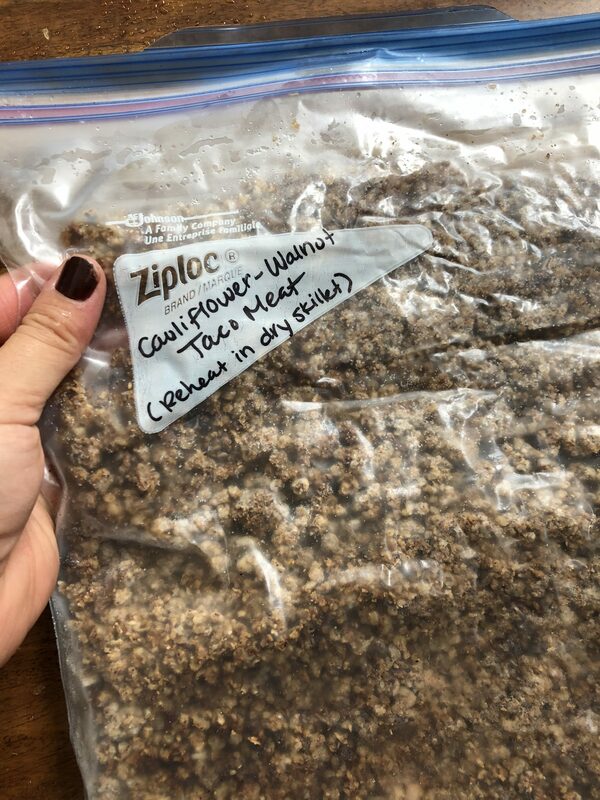 Also by Pinch of Yum – her cauliflower walnut taco mix! This is SO GOOD. Italian Flag Baked Pasta from the Now and Again Cookbook. Pioneer Woman’s Chicken Tetrazinni. 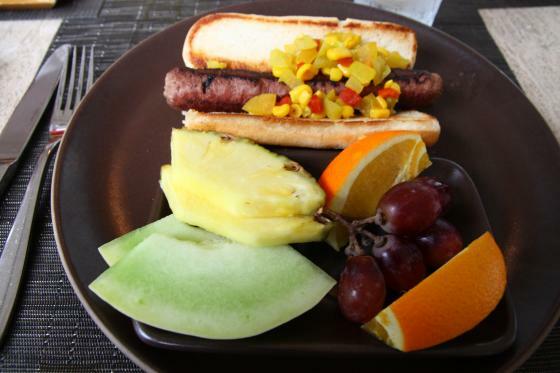 This is such a delicious, rich splurge meal!!! OMG it is so delightful. I used a rotisserie chicken here to make it super easy. And last but definitely not least, my spaghetti sauce. 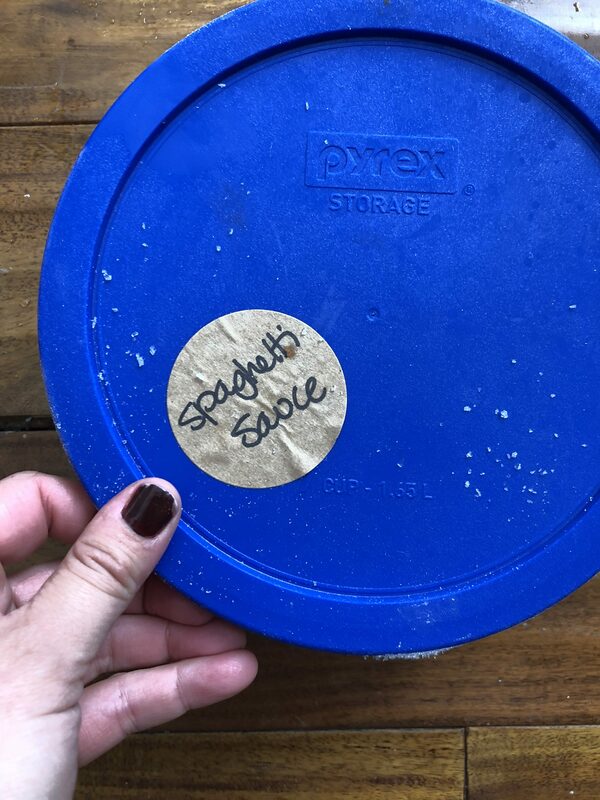 I made two large freezer meals of this because it’s amazing and always our favorite dinner. So there you go, friends! Like I said, my mom will be here for a bit after the birth so she’ll be cooking for us for awhile…and I’ll never (ever!) turn down a meal brought over by a friend or neighbor. 😉 I’m really hoping to make these freezer meals last so I don’t have to feel stressed out about dinner those first six weeks or so. This makes me want to stock my freezer and I’m not even pregnant! 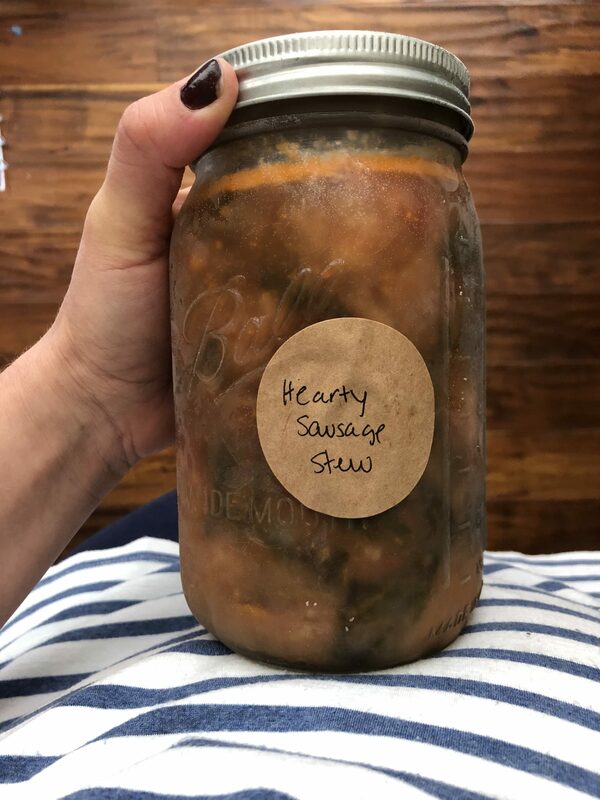 I love all that you chose—every recipe sounds delicious! Also, reading “family of five” made me smile; very excited for you all! You are all set!! These look awesome. 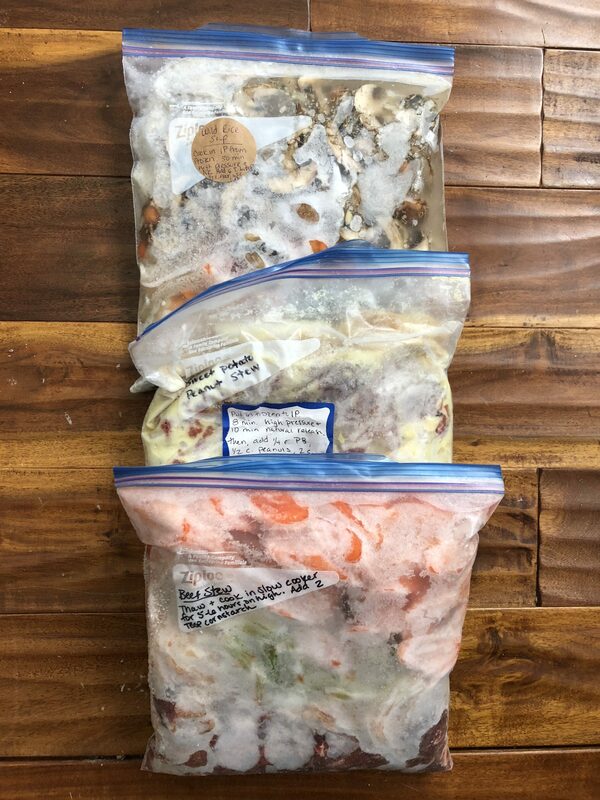 I would rather scrub my freezer with a toothbrush than make freezer meals, but hey, that’s how I nest 🙂 I do think I will make a few of these “dump” style meals because those are easy enough to assemble now. Thank you for posting this! I can’t wait to try so many of these recipes. 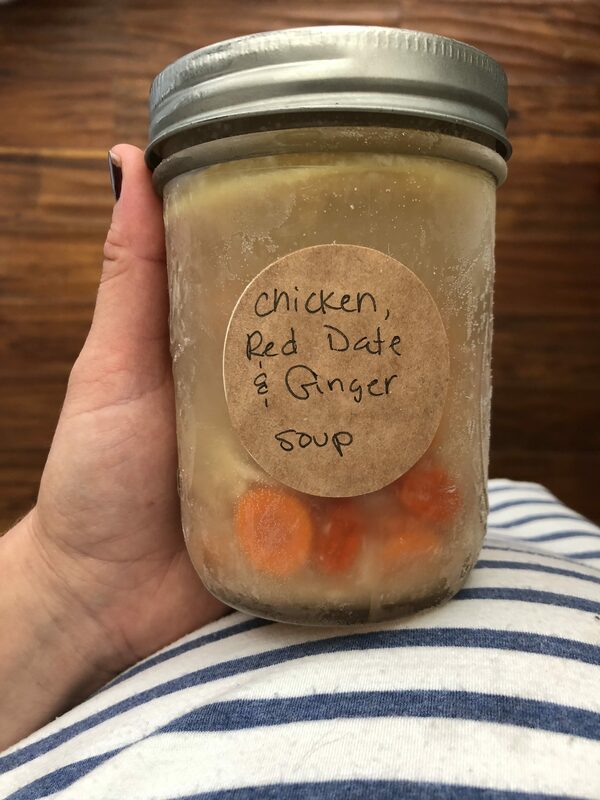 Also, do you need to do anything special before freezing the soups in the glass jars? 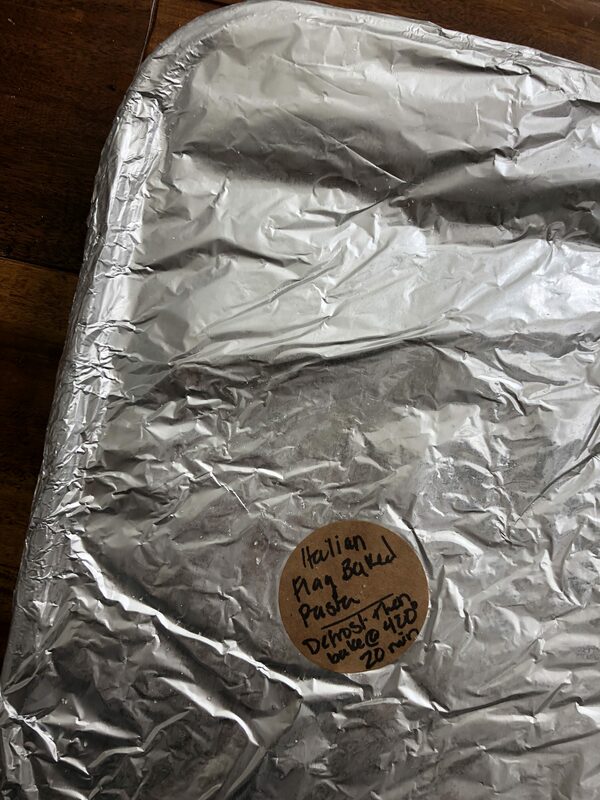 Do you cool and cover with plastic wrap first or just with lid alone? Just fill up the jar 3/4th of the way full, let cool and then gently screw lid on and place in the freezer. After the item is frozen, go back and tighten up the lid. 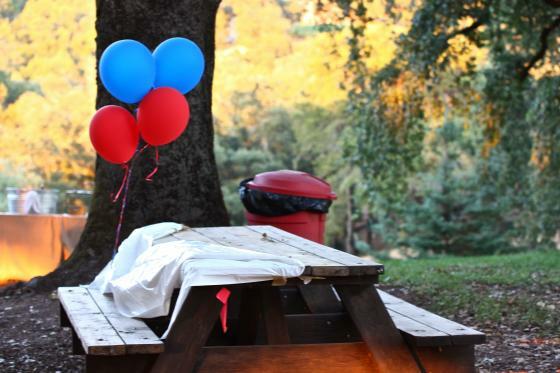 We have baby #2 due in February so this post is perfect timing! I plan to make a ton of freezer meals in January both for my family and myself during recovery. 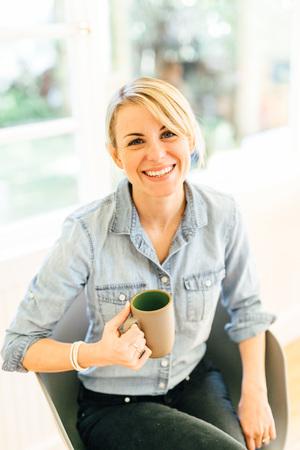 Did you find the ingredients in the First 40 Days cookbook were hard to find? We have a few Asian groceries around us and I am guessing the rest could be found at Whole Foods or Amazon? 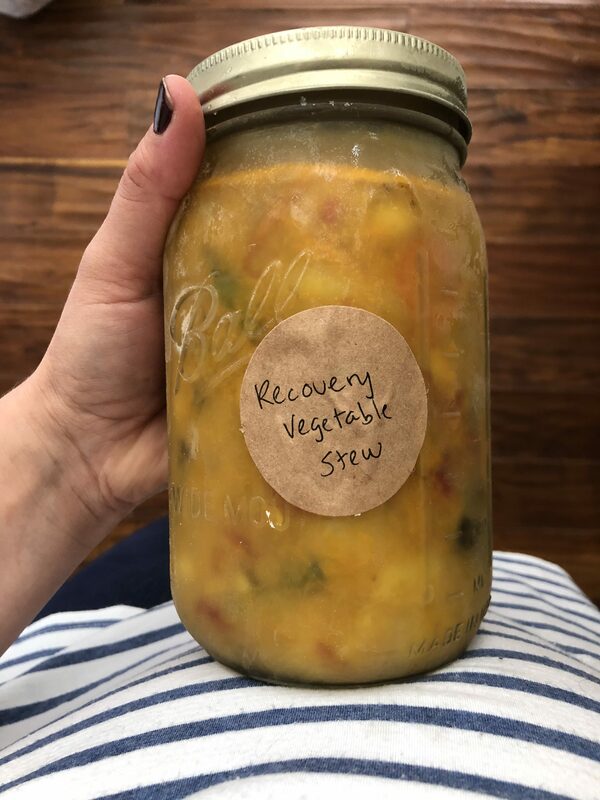 I didn’t think any of the items were that hard to find, but then again – we live in Berkeley and I’m able to find most ingredients really easily here. 😉 I would say go to an Asian market! 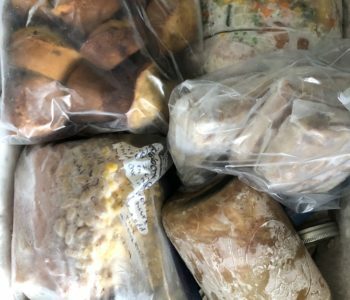 I’m not pregnant but I’m hosting family for the whole month of December so I’m going to use a lot of these ideas to stock my freezer so that I don’t have to cook when I walk in the door from work every night. If you haven’t found hemp seeds yet, Trader Joe’s carries them now. I also bet you could find them at Berkeley Bowl no problem. Best wishes for baby number three! This is amazing! The link to the chicken and dumplings resulted a 404. Can you repost? Thanks so much!!! What exactly do you mean when you say a soup can break when freezing? All great freezer options. Thanks for the ideas and good luck on the birth. 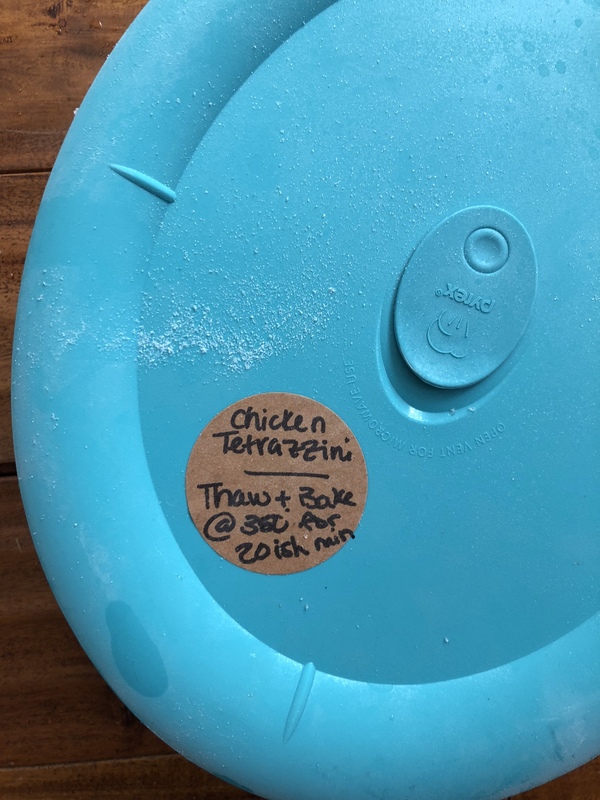 I froze PW turkey tetrazzini and loved it after my first two kids were born. 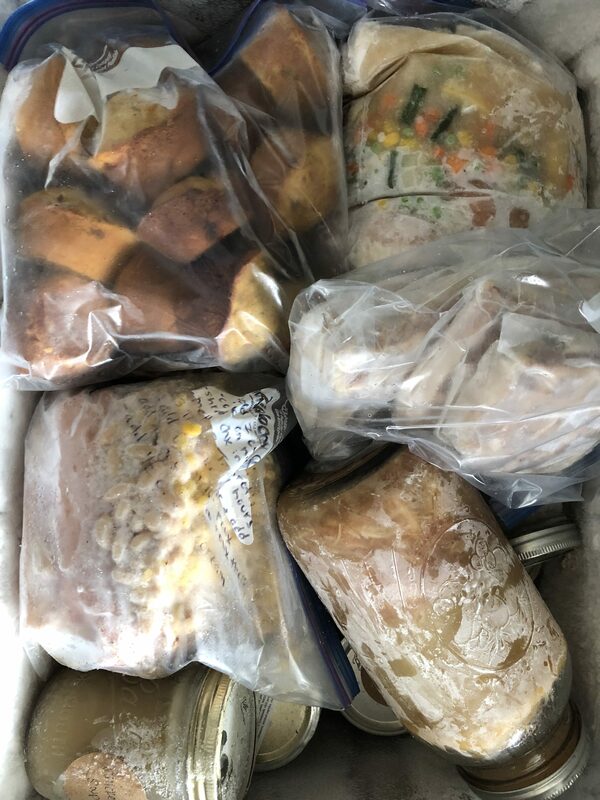 I had to have my husband stop at home and put away the halfway cooked ingredients on his way to meet me at labor and delivery bc my third arrived a little earlier than her brothers! I still haven’t had it yet and she’s almost 5 months old, now I’m craving it!